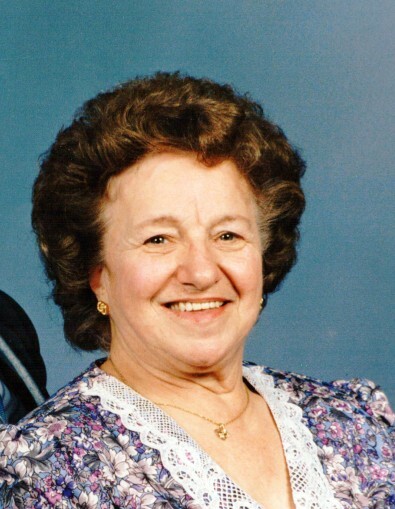 Malina Scalercio of Leetsdale formerly Sewickley Pa., passed away at her home Jan. 25, 2018. She was born in Sewickley, July 4, 1926 to the late Mary Corso and Jerry Veschio. Malina was a member of St. James church where she belonged to the 55 Club, she had worked as food preparer for Quaker Valley School. Malina loved her flower garden, baking and cooking and enjoyed watching fireworks. Loving mother of; Thomas (Arlene) Scalercio, Crescent, Richard (Susie) Scalercio, FL, Donna (Bob) Grago, Leetsdale. Lovingly known as Nana to all her grandchildren and all their friends over the years; she is survived by 7 grandchildren; Megan & Matthew Scalercio, Shellyn (Dan) Shoenthal, Steven (Leah) Scalercio, Michelle (Mike) Domenick, Christine (Jon) Douglas, & Kelly Grago, also 7 great grandchildren; Jake, A J , Olivia, Isabella, Eliana, Emma & Matthew, also her loving dogs; Coco, Marley and Queenie. Malina was also predeceased by her husband Orlando in 2012, 2 sisters; Florence Chirumblo, Dorothy Nicola, 2 brothers; Nick and Albert Veshio. Family will receive friends Monday 2-4 & 6-8PM at the Copeland Sewickley Funeral Home, 702 Beaver St., where prayers will be recited Tuesday at 9:30am followed by a 10:00am Mass of Christian Burial in St. James Church with burial to follow in St. James Cemetery.